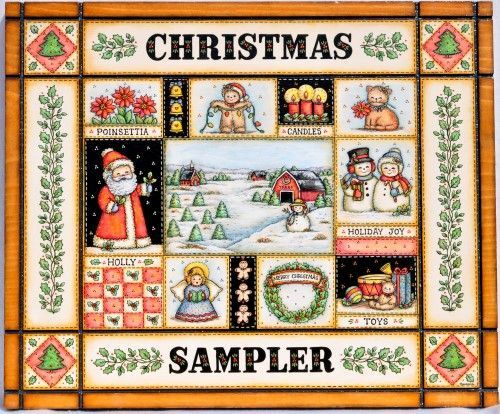 Featuring small Christmas pictures surrounding a snow scene in the center with a holly leaf design on both sides and trees in each corner. It is painted on a wooden 10”x 12” scored board. Many of the small pictures can be resized and painted on Christmas ornaments. This e-packet contains: Complete directions, two colored photos and three pattern pages for a total of 8 pages.